News: A New Academy Is Opening In London This Summer! We are so stoked to reveal more good news about the new opening of another London School of Barbering academy in a key central London location this summer. Yes, that is right, you’ve heard it right – we have a brand new academy opening in the vibrant location of Spitalfields/Liverpool Street soon. We are growing and delivering premium education to hundreds of students every year, from the U.K, Europe and around the world, so the demand for our courses is high, which is why we have decided to open up another academy in the creative hub of London, to get more and more students trained up to our high standards. Our new academy is going to be based at 13 Artillery Lane, London, E1 7LP, which is a very accessible London location for both students and clients. It is also great news for men who take advantage of our popular free service of top quality haircuts between Monday and Friday during the week, as there will be more hair appointment slots available with the opening of our new academy. Our new academy will be delivering approximately 500 free haircuts per week. Please stay tuned and keep checking our website for updates on when haircut booking slots will be open. 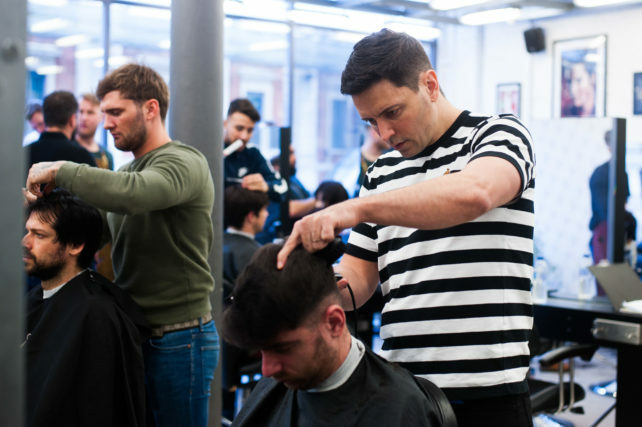 The opening of another barbering academy in London is good news for anyone who wants to pursue their dream of becoming a barber and wants to take our highbrow barbering training courses. All of our educators have invaluable industry experience honing between five and fifteen years; who pass on tricks of the trade to our students, that took them years to learn. Course dates will be live on our website soon for our new academy, so please ensure you keep checking for updates to secure your place! 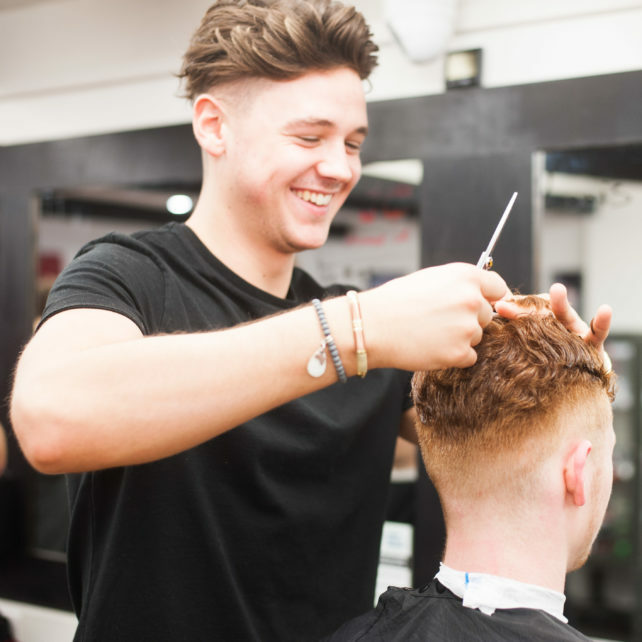 Listen to what some of our past students had to say about our barbering courses here at the U.K’s reputable barbering school. 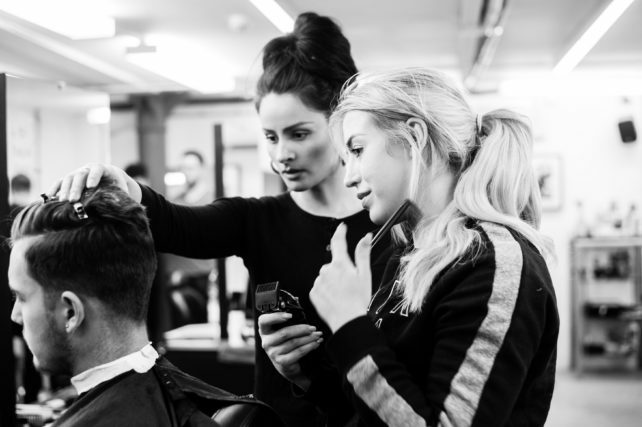 We are absolutely beyond excited to welcome all of our new students and clients to our new London School of Barbering academy at our cool, new buzzing location of Spitalfields/Liverpool Street.